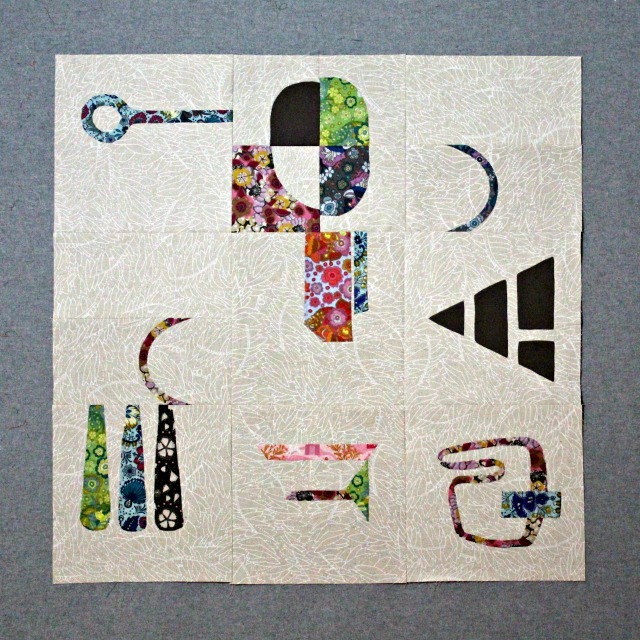 Though all the blocks for this year's Seattle MQG BOM have been presented, our hostess Jonna/@bespokeoutlaw will yet be presenting some ideas for quilting. Basically, our assignment this month was to sew our quilt top together. Jonna offered some suggestions for filling in the couple of blank half-blocks, but I kind of liked the openness they offered and just let them be. I'm still debating whether or not to add borders of some sort. That decision will probably wait until I'm ready to start quilting. But it feels good to have traveled this far.... appliqueing no less! And I'm glad I took up the challenge. I think Kris's interpretation of this quilt is spot on! Very interesting blocks and fabric choice ! I can't wait to see how you will finish it. I thought the dark gray was a border at first. I think a wide border would work well.